A Chinese court on Monday sentenced a Canadian man to death for drug smuggling, a ruling the Canadian prime minister was quick to condemn and one that is sure to aggravate already sour relations between Beijing and Ottawa. A Chinese court on Monday sentenced a Canadian man to death for drug smuggling — a ruling Prime Minister Justin Trudeau was quick to condemn and one that is certain to aggravate tense relations between Beijing and Ottawa. The Dalian Intermediate People's Court in China's northeast province of Liaoning retried Abbotsford, B.C. native Robert Lloyd Schellenberg, who had appealed his original 15-year sentence. The court decided on execution, it said in a statement on its website. Trudeau said Canada will always intervene when a Canadian is sentenced to death in another country. 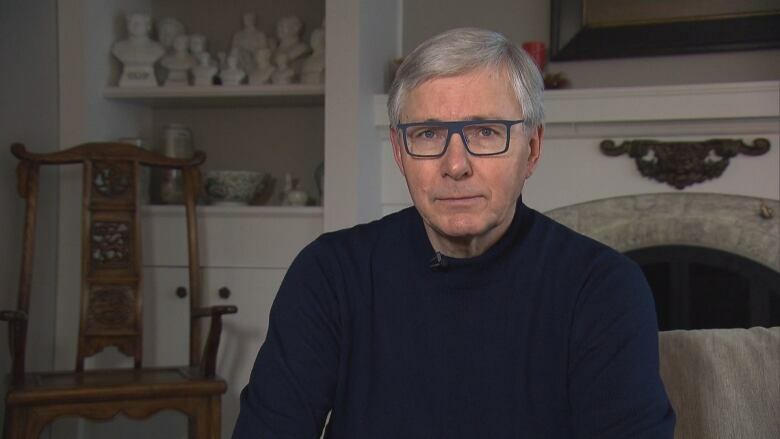 "It is of extreme concern to us as a government, as it should be to all our international friends and allies, that China has chosen to begin to arbitrarily apply [the] death penalty ... as in this case facing a Canadian," he told reporters Monday morning. A lawyer for Schellenberg, Zhang Dongshuo, told Reuters his client probably would appeal the death sentence. Schellenberg's aunt Lauri Nelson-Jones called Monday's decision the family's "worst-case fear confirmed." "Our thoughts are with Robert at this time. It is rather unimaginable what he must be feeling and thinking. It is a horrific, unfortunate, heartbreaking situation. We anxiously anticipate any news regarding an appeal." The ruling will further strain China's relationship with Canada, which turned toxic in the wake of the Dec. 1 arrest in Vancouver of Meng Wanzhou, chief financial officer of the Chinese telecommunications giant Huawei Technologies Co Ltd, at the request of the United States. China denounced her arrest, warning of unspecified consequences unless she was released, and has since detained two Canadians — Michael Kovrig and Michael Spavor — on suspicion of endangering state security. Schellenberg's original trial received almost no coverage but Chinese media began publicizing his appeal after Canada detained Meng. 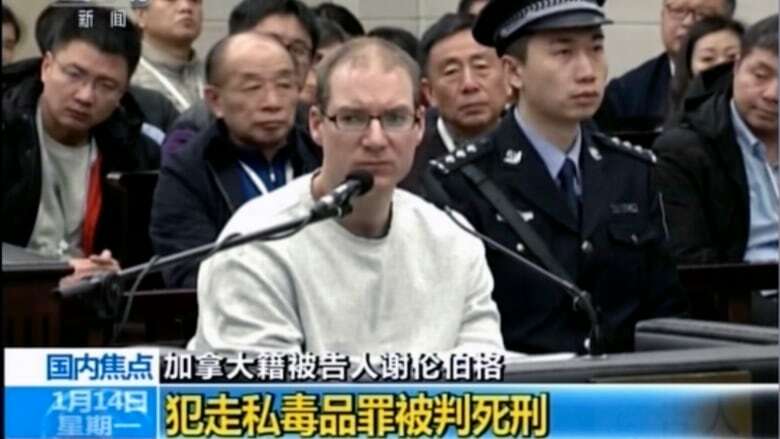 Former Canadian ambassador to China Guy Saint-Jacques said the fact that Schellenberg's re-trial was organized so quickly, against a backdrop of heightened tensions with Canada, makes him believe the death sentence was predetermined. "I think it shows clearly that they wanted to apply the rules maybe with more zeal than they would have otherwise," he said. "The other thing that I think has to be noticed is the fact that they invited foreign journalists to attend the trial. They claimed that it's for transparency purposes. Well, if that is the case, they could have started doing that years ago. "I think all this was orchestrated." Saint-Jacques said that if Schellenberg appeals, Canadian officials will make representations on his behalf in Beijing — but "based on past experience, I'm not sure if this will work." He called for the Canada-China High-Level National Security and Rule of Law Dialogue panel to meet as soon as possible. The joint high-level group was created in 2016 to help the two countries discuss, among other things, law enforcement issues and consular cases. On Monday night, Global Affairs changed its online travel advisory for China to advise Canadians to "exercise a high degree of caution due to the risk of arbitrary enforcement of local laws." Schellenberg, who was to have been deported after serving his original sentence, was told in court he had the right to appeal to Liaoning High Court within 10 days upon receiving the ruling, the intermediate court said in a second statement. He had lodged an appeal after being ordered in Dalian to 15 years in prison on Nov. 20. The Liaoning High Court in late December ordered the case retried after prosecutors said the sentence was too light and improper. In Monday's ruling, the court said Schellenberg had conspired with others to smuggle 222 kilograms (489.43 pounds) of methamphetamine from China to Australia in late 2014. The drug syndicate allegedly concealed 222 bags of the drug in plastic pellets and shipped it from Guangdong to Dalian. It planned to conceal it in tires and tubing and ship it via container to Australia, according to the court. Before his arrest, on Dec. 1, 2014, Schellenberg had prepared to flee to Thailand from Dalian but was arrested when in transit in Guangzhou, the court said. Zhang told The Associated Press that he had argued in the one-day trial that there was insufficient evidence to prove his client's involvement in the drug smuggling operation. He added that prosecutors had not introduced new evidence to justify a heavier sentence. "This is a very unique case," Zhang said in a phone interview. He said the swiftness of the proceedings was unusual but declined to comment on whether it was related to Meng's arrest. 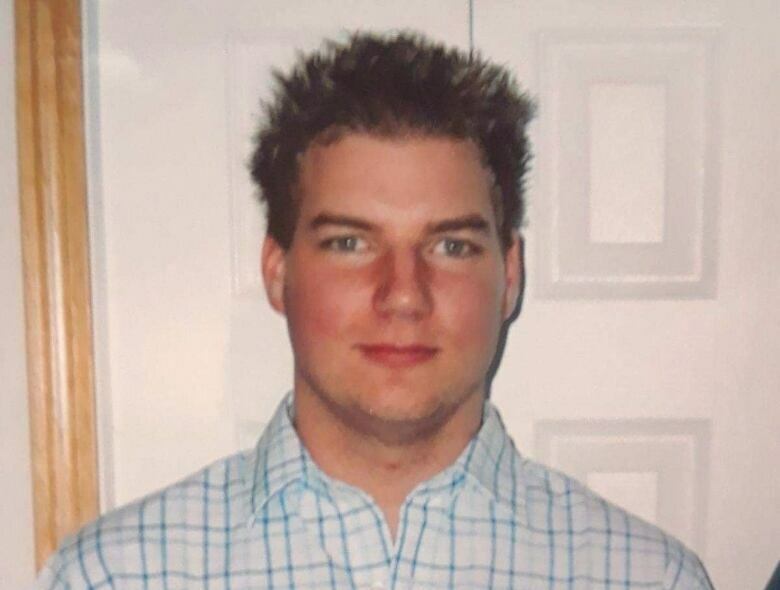 The court has not offered further information about Schellenberg, including his age and occupation, though media reports have said he is 36 years of age and a former oil worker. The death sentence was quickly condemned by human rights groups. William Nee, a Hong Kong-based China researcher with Amnesty International, said his organization was horrified that Schellenberg had been sentenced to death, particularly as drug-related offenses don't meet the threshold of the "most serious crimes" to which the death penalty must be restricted under international law. "This is all the more shocking given the rushed nature of the retrial, and the deliberate way in which the Chinese authorities drew attention to this case," Nee told Reuters. Drug smuggling is routinely punished severely in China. Beijing has executed foreign nationals convicted of drug-related crimes; a Briton caught smuggling heroin was executed in 2009, prompting a British outcry over what it said was a lack of any mental health assessment. Beijing considers the number of people executed in China each year to be a state secret. International human rights organizations estimate the figure to be around 2,000. The Opposition Conservatives are calling on Trudeau to phone Chinese President Xi Jinping to press Schellenberg's case. "The prime minister needs to seize himself with this troubling [and] deepening diplomatic dispute," tweeted foreign affairs critic Erin O'Toole on Monday. Conservative MP Pierre Poilievre called Schellenberg's case another example of how Trudeau isn't being taken seriously by foreign governments. "The Chinese leadership does not take him seriously, they call him little potato, they have shown him complete disrespect. This is consistent with his reputation all around the world," he said during a press conference. Schellenberg's trial came the same day that a spokesperson for China's foreign ministry waded into the diplomatic spat over Kovrig's detention. On Friday, Trudeau accused China of "not respecting the principles of diplomatic immunity" in his case. Kovrig is on leave from Global Affairs Canada and is working for the International Crisis Group, a non-governmental organization focused on resolving or preventing violent conflict. Asked about Trudeau's comments, China's Foreign Ministry spokesperson Hua Chunying said "Kovrig does not have diplomatic immunity under the Vienna Convention," adding that the "relevant Canadian person" should "earnestly study" the Vienna Convention before speaking, so as to "not become a laughing stock." Justice Minister David Lametti, who was only just sworn in Monday morning, said he still has to be officially briefed on Meng's extradition case. "I won't comment specifically, because I may have a role down the road, but I will say that we are a rule of law country, and it's one of our most important principles, and as minister of justice and attorney general for Canada I will always act to protect the rule of law," he said. Meng has since been released on bail and remains under surveillance as she prepares to fight her extradition to the U.S., which accuses her of fraud and lying to banks about business activities in Iran. Chinese officials haven't called the arrests of Kovrig and Spavor acts of retaliation, but they have pointedly compared the cases, insisting the men were detained in accordance with Chinese laws while maintaining that Meng's arrest was illegal.